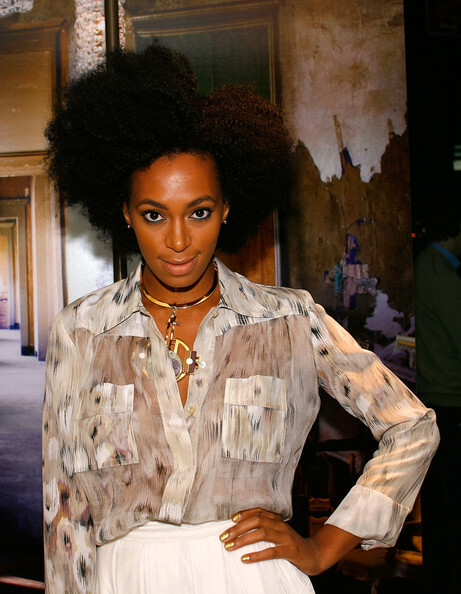 Solange Knowles looked amazing as she entered the 2011 Swim Collection Launch Party wearing the lovely top from Boxen Kitten Spring Collection. The singer/actress natural tress curls were worn just right, she wears this style well. 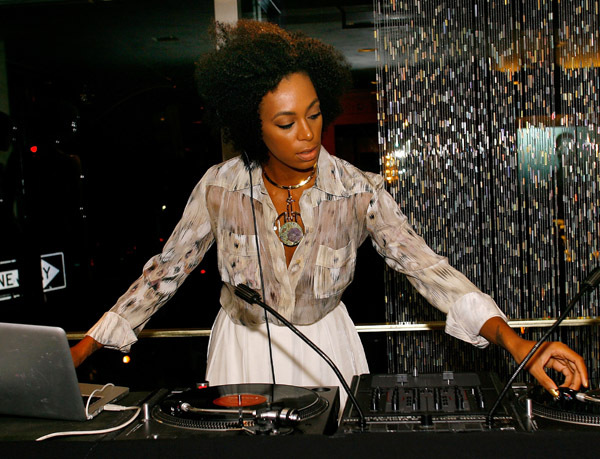 What’s Fashion Night Out without Solange DJ’ing at Roberto Cavalli Boutique? Gorgeous Photos by Steven Duarte , Solange Knowles and Theophilus London were spotted in Brooklyn doing a photo shoot for Honey Magazine. 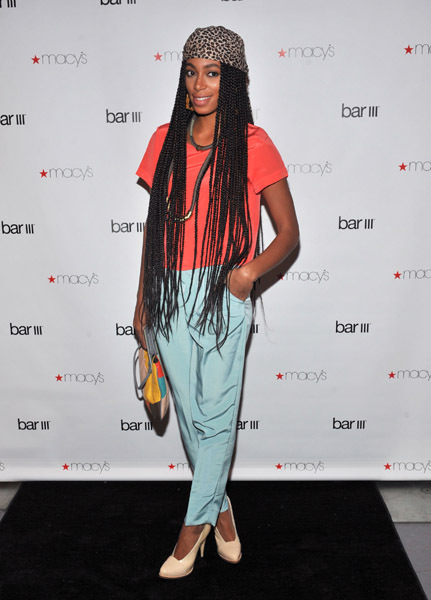 Your hair so amazing, nothing or no one can rock it as haute as you! You’ve had it all from the long tress curls to the short natural look, but it all seem SO perfect. How oh, how do you pull it all off? No main stream artist would dare to rock these many looks, many in a lifetime won’t even have a inch of the courage you have, but that’s WHY WE LOVE YOU the way we do! Clothes, Hair, Nails, Music, DJ, and the ultimate Mom! 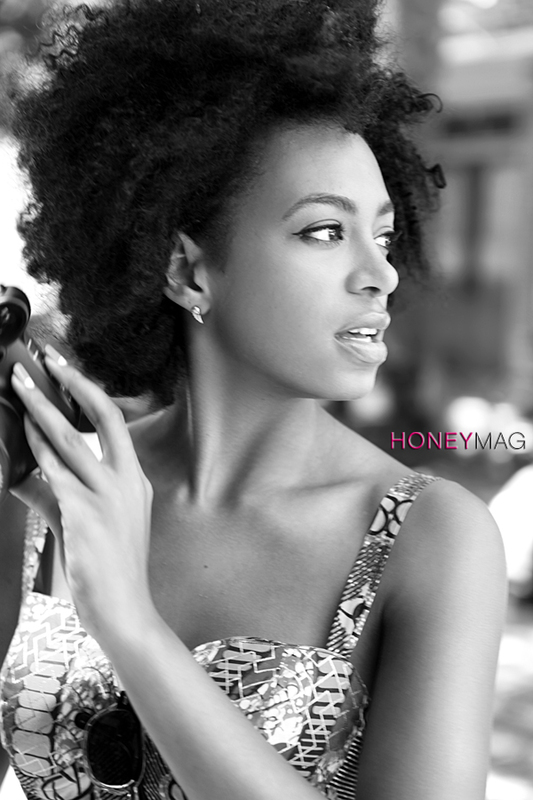 For the COMPLETE behind the scenes look of this shoot head over to HoneyMag NOW!